This one isn’t as much a lie as it is an improbability. No country in the world has so far been able to build anything similar and doubt remains whether this would be effective and actually be able to hold the waste. 4. It is necessary to build power plants to fill the energy gap. The energy crisis in California is often quoted to back up this claim. However, this energy crisis was not the result of a lack of electricity. It happened because of the electricity market manipulations, so building nuclear power plants cannot be justified in this case. 5. 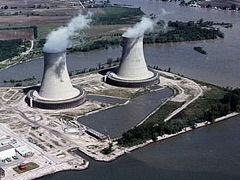 The waste from nuclear power plants only comes in small quantities. There are claims that nuclear power plants only produce 1,000 metric tons of waste per year. However, this number conveniently leaves out uranium mill tailings, which actually produce 100,000 metric tons of toxic waste per year, and happen to be radioactive. 6. The likelihood of serious incidents at nuclear power plants is low. 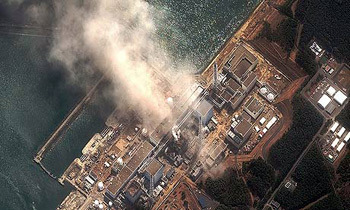 Even when conditions are normal, it is possible for nuclear power plants to have serious incidents. There are many examples of this across the country and the world, including leaks at various plants every few years. 7. A single permanent repository is the optimal solution for nuclear waste. Posted on June 1st under Non Renewable Energy Sources.